Saigon is a multicultural city, where a large amount of rural residents have come and lived for decades. 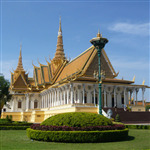 The city is also well-known for its diversified cuisines and bustling nightlife. This tour brings you to some must-visits when you stay in Saigon including Cho Lon, Ben Thanh market, Central Post Office as well as some other attractions.